Sometimes a familiar app used in a different context with children other than the intended audience can have surprisingly positive effects. Such is the case with the app Sago Mini Doodlecast and a recent library visit from a group of middle schoolers with special needs. Sago Sago, a company full of talented app developers, targets young children, and Mini Doodlecast most often finds success with kids under 6 and their fun-loving families. It’s an open-ended app that offers users a blank slate on which they can draw images with a variety of tools. Sure, there are a lot of drawing apps and, really, paper and a pack of crayons can be entertaining, but Mini Doodlecast uses the digital format to make the drawing experience different and, in some cases, better. As soon as iPad users begin drawing or writing within the Mini Doodlecast app, the process is recorded. It’s not just that you can save a final still image to the device’s photo library. 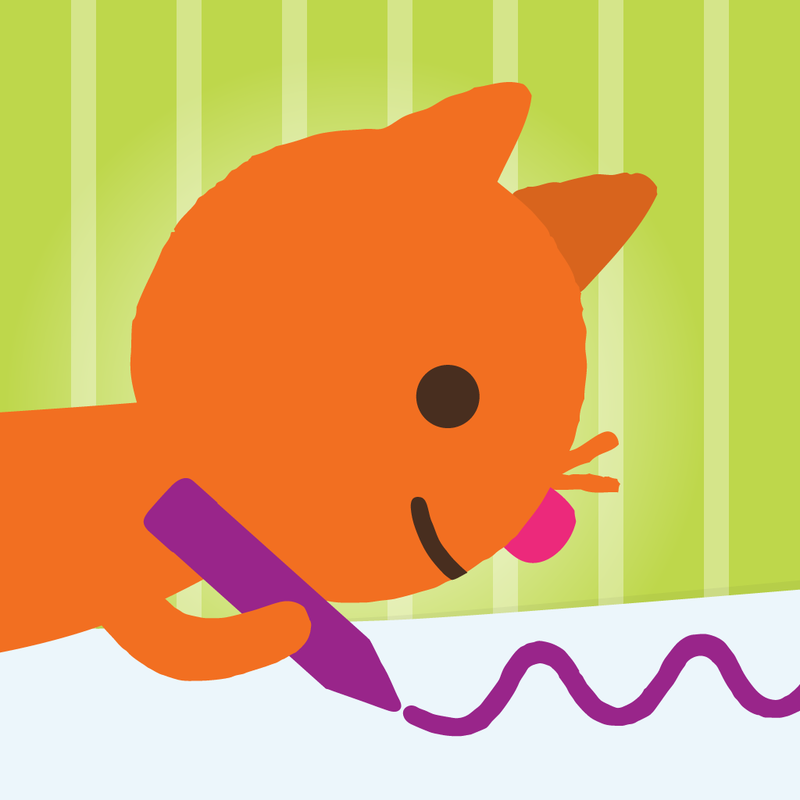 In this app, the act of drawing and writing is recorded as video along with audio which might include intentional narration, music, or even chatter between a child and adult or multiple children. The explanation behind a budding artist’s green lines, the conversation about shared moments recreated with stick people, and questions about color choices are all saved. The three together–video, audio and final still image–offer a magical opportunity to bring a story, and the story making, to life. As I was waiting for the middle schoolers to arrive for their visit, I was playing around with my iPad prepping some apps for other programs. I quickly realized that Mini Doodlecast’s storytelling features would appeal to many more than the youngest iPad users I already knew loved the app. I decided at the last minute to share it. After I read a couple of stories, I brought out my iPad and showed each of the visiting students how the app worked. The small group of tweens each came with an accompanying adult, so together we were able to customize the iPad experience to each student’s abilities, which varied greatly. I sat with each pair so the iPad was up close where the student could easily reach the iPad and see their work. I’ve used apps with this group before during their annual visits, but this time I was sure to use Guided Access. As with lots of kids, the Guided Access kept the focus on the app instead of frustrating the app user because of accidental navigation away from their work in progress. Each student was fascinated by the results of their finger movements, but everyone got something different out of the app. One girl in particular loved the playback feature. As she drew, her companion sang a song familiar to her which made her break out in giggles! Sago Mini Doodlecast recorded the whole thing; laughter, bright images, and even a soundtrack. The girl got to hear and see the whole thing and was clearly impressed when she recognized her own voice and her companion’s. Everyone has a story to tell. Let’s give everyone an opportunity to share theirs. Posted on January 8, 2015, in Apps and tagged Claudia Haines. Bookmark the permalink. 2 Comments. Claudia, this app sounds wonderful. But really strikes me in this blog is how you describe it. You make it sound so great that I can’t wait to try it. Great blog post! Thanks. Mary, it really is good and reinforces Lisa Guernsey’s 3Cs- it’s all about content, child and context. Good luck!